In a statement released on Tuesday the Vermont Lottery said the $2.45 million Tri-State Megabucks Plus jackpot from the November 19, drawing has been claimed. The lottery has not revealed the lucky winners' identity, but stated the prize was claimed by couple from the Greater Rutland area. It is also known that the winning ticket was purchased from the Middlebury Beef Supply and Grocery store on Route 7. According to the lottery the couple discovered they had bagged the jackpot when the woman checked the ticket using a self-scanner at a convenience store and the display informed her she needed to contact the Vermont Lottery’s headquarters. Who is the Big Wednesday Jackpot Winner? Someone in Auckland bagged the AUD$ 9 million Big Wednesday jackpot, but the New Zealand Lottery has not revealed the identity of the person or syndicate who claimed their life-changing prize. Although the identity of the winner may be a mystery at present, the lottery said the winning ticket was purchased from Pt Chevalier Lotto Plus. Store owner Pushpa Patel discovered she'd sold a winning ticket when her daughter checked through their emails and found a notification from the New Zealand Lottery. According to Patel, the ticket-holder has already checked their ticket at another store. "Apparently they were waiting outside the shop at 7.30 this morning [Thursday]. They collected it somewhere on the North Shore," Patel said. "We're hoping it's someone who needs it." This is not the first time the Pt Chevalier Lotto Plus has sold a big-prize-winning ticket. In the last 20 years it has sold 12 first division winners along with 97 tickets that secured second division prizes. The last time the Pt Chevalier Lotto Plus sold a first-division-winning ticket was in 2012 and history appears to be repeating itself because that prize was also claimed at another store. Thinking back, Patel recalled the time a player discovered she'd won a car and got so excited she ran out of the store and then back in again. "I had to give her a glass of water. That was in 2006," Patel said. Big Wednesday is a mid-week lottery that draws every Wednesday night in New Zealand and offers cash and luxury prizes. A store clerk from Newport Beach, California, was arrested on Tuesday because it is alleged he was checking through scratch-off lottery tickets to find the winners and reselling the losing tickets to customers at Craig Liquor in the 1200 block of West Macarthur Boulevard. According to the Orange County District Attorney's office, Francis Bou Karam, 34, was engaged in the illegal activity between January 1, 2013, and November 13, 2014. He has been charged with one felony count of computer access fraud, one felony count of grand theft, and 23 felony counts of forgery. Karam is accused of redeeming $50,000 in winning. If he is convicted he may face a prison sentence of up to 18 years and 4 months. The UK National Lottery Lotto numbers drawn on Wednesday, 26 November 2014, were 26, 28, 29, 30, 41, and 49. The bonus number was 31. One ticket matched all six main numbers and scooped the £2.6 million jackpot. Two tickets secured second tier prizes of £105,382 for matching five main numbers and the bonus ball. Eighty-seven ticket-holders won third tier prizes of £2,056 for matching five numbers. A further £ 3,566,691 was distributed in smaller prizes to lower tier winners. UK Lotto drawings are held on Wednesdays and Saturdays. The next drawing is on Saturday, November 29, 2014. The estimated jackpot is £4.1 million. A lottery player from Mönchengladbach, Germany, had his hopes raised for nothing last week when a German TV station broadcast the wrong numbers and caused to believe he'd snagged a big win when he had not. When Franz Engelen, 58, tuned into ZDF on Wednesday, November 19, the onscreen numbers were a perfect match for the six numbers chosen by his lottery syndicate so he thought they'd won the jackpot. His share of the money would have been €950,000. Unfortunately for Engelen, ZDF had broadcast the previous week's numbers by mistake so his celebrations were all for naught. Speaking to the German tabloid Bild, Engelen said: "I was on the go; I looked quickly at the draw, wrote down the numbers and turned off the TV. When I compared the numbers with a lottery ticket and saw that six match I could not believe my luck." Totally fooled by the televised numbers, Engelen and his wife never thought to contact the lottery to ask for confirmation. They began making plans instead and were even considering buying their daughter a condo. Engelen learned the unfortunate truth the following morning when fellow syndicate member Tipper Reinhard Coenen, 52, told him they'd won not a cent. "I knew that we had not won," Coenen said, recalling he had seen the numbers on teletext and they were not the same as those broadcast by ZDF. "But Franz felt until the next morning that we were victorious. When he learned it from me, he was devastated," Coenen added. The New York Lottery is still waiting for the holder of a winning US Powerball ticket to come forward and claim their $1 million prize. The ticket, which matched all five of the winning numbers—but not the Powerball—on December 11, 2013, was purchased from the Quick Mart store located at 38 N. Middletown Road in Manuet. The ticket bears the numbers 1, 10, 13, 18, and 19. Is this your ticket? If so, time is running out. If the ticket is not presented by close of business on December 11, the prize will be lost for good. Acting director of the state Lottery's Gaming Commission, Gardner Gurney, said: "We're eager to award this large prize to the lucky winner and hope that person is making plans to claim it before it's too late." The EuroMillions numbers drawn on Tuesday, November 25, 2014, were 3, 7, 25, 32, and 36. The two Lucky Stars were 1 and 6. No tickets matched all five main numbers and both Lucky Stars so the €51.2 million (£40.7 million) jackpot has rolled over. Five players won second tier prizes of €244,414 for matching five main numbers and one Lucky Star. There were also five third tier winners, who failed to get any Lucky Stars, but bagged €81,471 for matching five main numbers. Fifty players won €4,073 for matching four main numbers and two Lucky Stars. A further 2,066,782 EuroMillions players were awarded smaller prizes from the lower tiers. The next EuroMillions drawing is on Friday, November 28, 2014. The estimated jackpot is €63 million (£50 million). Newsagents in Maitland, Australia, say they fear the lottery's decision to start selling tickets via larger retailers such as Woolworths could be damaging to their sales. Fears arose last Thursday when Woolworths boss Grant O'Brien admitted the Australian Lottery organizers, TattsLotto, had approached him to discuss the selling lottery tickets via Woolworths stores. A number of newsagents from the Maitland area have already contacted the New South Wales government and asked it to intervene and prevent the plans from going ahead. Worried newsagents have also contacted their local MP, Robyn Parker, in the hopes that she may be able to help them in their campaign. The owners of one newsagency have been trying to get the support of their customers and have already collected over 130 signatures. Lyn and Lindsay Patfield (Maitland West End Newsagency) have been running their store for 12 years and believe Tatts' present plans, if allowed to go ahead, will affect a 15,000 newsagencies throughout NSW. "All newsagents need the public to get behind them on this or we will all be in big trouble," Mr. Patfield stated. "We stock a wide range of magazines and various other items, but we rely on TattsLotto sales as a large part of our business." Mrs. Patfield was equally concerned. "I think about 40 per cent of newsagencies would close down if this comes about," Mrs. Patfield said. "Some rely on Lotto sales, which make up more than 70 per cent of their business." Minister for Small Business John Barilaro has already added his support to the campaign. "This afternoon, I met with the Newsagents Association and gave them an undertaking to work together to get the best deal for small businesses," Mr. Barilaro said. Last Week's $48 million Florida Lotto jackpot has been claimed by a player from Alabama. Carolyn Bell, 64, claimed her prize on Monday. According to the Florida Lottery she opted to take her winnings in a one-off, lump-sum payment of $33,609,501. Bell purchased her winning ticket from Stateline Liquors in Westville. The store will receive a $210,000 retailer's bonus for selling the winning ticket. Bell told Florida Lottery officials she is a regular player and buys tickets each time she visits Florida. As for her intentions for the future, Bell said she and her husband plan to retire. A New York Man who claimed a $1 million US Powerball prize last year has had his bank accounts frozen by the courts because doubts have arisen as to the legitimacy of his claim. When Michael Simmons claimed the Powerball prize he told New York Lottery officials he'd bought the ticket on a whim. "I felt lucky that day so I decided to play Powerball," he said. "I was actually pretty calm when I realized I just won $1 million." But Bronx woman, Mercedes Rosario, alleges he did not buy the ticket at all. She says the ticket belonged to her and was stolen by her former live-in boyfriend, Alexis Seda, who then gave it to Simmons. Rosario filed a lawsuit last Thursday. When asked why Rosario's former lover would have given away the ticket, her lawyer Marc H. Wasserman replied: "That's the million-dollar question." Wasserman also said his client had been living with too much "fear of both Seda and Simmons to ever come forward as the rightful owner of the ticket." The couple apparently parted last month and this has given Rosario the confidence to seek retribution, Wasserman said. Seda is employed by Simmons at Malmek Glass Contracting. Both men deny the allegations. Seda claims he sent Rosario to a local bodega to purchase the ticket on his behalf and that he then gave the ticket to Simmons. Simmons said: "Alexis Seda gave me the lottery ticket, stating that he wanted me to have the lottery ticket." Neither man offered an explanation as to why anyone would wish to give away such a valuable prize. At a hearing held last Thursday, Justice Julia I. Rodriguez temporarily froze Simmons' bank accounts, along with any of the lottery proceeds. She has not ruled on Rosario's ownership claim. On Friday the Philippine Charity Sweepstakes Office (PCSO) told a lottery jackpot winner he would not be receiving his prize. Antonio F. Mendoza of Calaca, Batangas, won ₱12,391,600 (USD$ 276,277) on Thursday, October 2, 2014, but before he could present his ticket Mendoza's granddaughter decided to smooth out the ticket with a hot iron. The ticket was badly charred and the winning numbers, along with the security features were lost. PCSO officials have stated no payment can be made because it would violate the policy and rules that govern prize payments. A PCSO official said: "Paying the jackpot to him will violate the agency’s rules. It is like opening Pandora's Box." Police in Hoboken, New Jersey, are searching for a fraudster who scammed money out of two unsuspecting victims by telling them he'd won the lottery and needed help to secure the release of his prize. A third victim claims the mystery man hypnotized her when she failed to fall for the scam. According to the police report, the man allegedly told his victims he'd won the lottery but was unable to claim his prize because he was living in the US illegally. He then promised his first two victims he would give them a share of the winnings if they gave him money upfront so he could collect his prize. The first two victims handed over jewelry and cash, but his next victim was not so easily convinced. On November 7, he approached an 83-year-old woman in Union City and asked for her assistance. While they were talking two women approached and offered the man a lift the lottery claim center in Jersey City. The man then promised to give each of them $125,000 as a thank you for their assistance. Unconvinced by the charade, the Union City woman asked him to ring the number on the back of the ticket to verify he'd won. The man seemed to oblige, handed her the phone, and another accomplice confirmed it was a winning ticket. According to his victim, the man then passed his hand in front of her face and "hypnotized" her into feeling a sudden desire to help him out. She gave him an 18 karat gold medal, two watches, and a 50-year-old engagement ring. The man and his two accomplices then drove off in a blue SUV. Anyone who has information that could help bring the perpetrators to justice should call Hoboken police on 201-420-2100. Four tickets matched the six winning numbers in Saturday's UK National Lottery Lotto drawing, so the £7.6 million will be split four ways. Each ticket-holder will receive £1,896,064. The UK Lotto numbers drawn on Saturday, November 22, 2014, were 2, 3, 5, 15, 22, and 29. The bonus number was 26. Twenty players matched five winning numbers and the bonus ball to win second tier prizes of £14,683, and 692 players won £360 for matching five numbers. A further £13,502,600 was distributed in smaller prizes to lower tier winners. UK National Lottery Lotto drawings are held on Wednesdays and Saturdays. The next drawing is on Wednesday, November 26, 2014. The estimated jackpot is £2.1 million. A woman from Rockland County, New York, who bagged a $2.5 million prize on a New York Lottery "$2,500 A Week for Life" scratch-off ticket, claims she purchased the ticket after she received a tip-off from beyond the grave. Speaking to New York Lottery officials on Friday, West Haverstraw resident, Edwina Silvera, said she'd dreamed of her dead father on October 14 and he'd given her a message. Edwina did not wish to disclose the nature of the message but said it caused her to rush out and buy a scratch-off ticket that very night. "I knew it was a sign, and I had to buy a Lottery ticket," Edwina said. When asked about her plans for the money, Edwina said she was unsure, but stated she intends to carry on working and will invest some of the money for her future. The EuroMillions numbers drawn on Friday, November 21, 2014 were 4, 7, 28, 32, and 37. The two Lucky Stars were 5 and 10. No tickets matched the five main numbers and two Lucky Stars required to win the €43 million (£34.1 million) jackpot so a fourth rollover has pumped up the pot and given players an even bigger prize to play for next week. There was only one second tier winner. That lucky ticket-holder or syndicate has good cause to celebrate because by matching five main numbers and one Lucky Star the ticket has snagged a €1.6 million prize. Five ticket-holders failed to match any Lucky Stars, but managed to secure third tier prizes of €106,456 for matching five main numbers. There were 40 fourth tier winners. Each ticket-holder will receive €6,653 for matching four main numbers and two Lucky Stars. A further 2,708,085 EuroMillions players were awarded smaller prizes from the lower tiers. The next EuroMillions drawing is on Tuesday, November 25, 2014. The estimated jackpot is €50 million (£40 million). After years of placing her numbers a 48-year-old factory worker from Kabin Buri, Thailand, proved that patience can pay off when she bagged the bagged the jackpot earlier this week. Ms. Kwanchit has already claimed her 34 million baht (USD$ 1,034,790) prize, but she said she has no real plans for the money after she has deposited it in her bank and does not anticipate it will bring many changes to her life. Ms. Kwanchit said she intends to continue living in her present home, but may make it a little nicer, and will continue to earn a little extra cash by breeding and raising crickets. Auditors in Michigan, USA, are calling for a clampdown on lottery retailers who purchase winning tickets from players, at a discounted price, and claim the prizes for themselves. The practice is illegal according to state laws, but many retailers are still happy to take advantage of players who dare not claim their prizes because they owe back taxes or have other debts they do not wish to pay. A recent audit reveals 37 store owners cashed nearly $3.6 million worth of tickets in 2012 and 2013. One retailer alone collected 107 prizes last year that had a combined value of $346,312. Auditors also discovered six of the offending store owners had failed to report $509,211 in winnings when they filed their tax forms in 2012. The Auditor General said: "We recommend that the Lottery Bureau sufficiently identify and investigate lottery retail owners who repurchased winning lottery tickets—likely at a discount." The Michigan State Lottery responded to the auditor's findings by pointing out there are over 11,000 retailers selling lottery games and stressed the practice of "discounting" is also an issue in many other states. Nonetheless, the lottery has stated its intention to police retailers more aggressively in the future and instigate an investigation of any retailers that turn in more than 20 tickets per year that are worth over $20,000. As a further counter measure against discounting winners will also be asked to reveal how they obtained their tickets. The Michigan Lottery stated 13 retailers have been disciplined as a result of the audit. The EuroMillions numbers drawn on Tuesday, November 19, 2014, were 2, 3, 17, 36, and 38. The two Lucky Stars were 4 and 11. No tickets matched the five main numbers and two Lucky Stars required to win the €32.4 million (£26 million) jackpot so a third rollover has beefed up the pot and given players an even bigger prize to play for on Friday night. The biggest winners were the three ticket-holders who bagged €354,830 for matching five main numbers and one Lucky Star. Five ticket-holders failed to match any Lucky Stars, but managed to secure third tier prizes of €70,966 for matching five main numbers. There were 30 fourth tier winners. Each ticket-holder will receive €5,913 for matching four main numbers and two Lucky Stars. A further 1,646,122 EuroMillions players were awarded smaller prizes from the lower tiers. The next EuroMillions drawing is on Friday, November 21, 2014. The estimated jackpot is €42 million (£34 million). The Weirs bagged their massive £161 million prize in July 2011 and the couple make no secret of where their political allegiance lies. They have already made two previous donations to the SNP and their most recent cash injection gives them a total spend of £3 million. This is on top of the £3.5 million they pumped into the YES Scotland independence campaign in the lead up to the referendum. An SNP Spokesperson said: "As membership of the SNP surges to over 84,000, the party has never been in better shape. We are very grateful for every donation—large and small—from our supporters which all help us to campaign and work for Scotland." There are plenty of big prizes up for grabs this week so lottery players are spoiled for choice. Tuesday night's EuroMillions drawing offers an estimated jackpot of €32 million. That’s a generous dose of moolah that could make someone feel very good indeed, but the week starts with the EuroMillions top prize sitting in the shadow of the big-money prize available for Friday's EuroJackpot drawing—it's €40 million! The EuroMillions top prize may be overshadowed by the EuroJackpot at the moment, but if the Jackpot rolls over on Tuesday night by the time Friday comes around it may match or even beat the EuroJackpot. Either way, both games offer incredible prizes. Tuesday night is also US Mega Millions night and Mega Millions players have a tempting $35 million jackpot to play for. The game offers nine levels of prizes and the overall odds of winning a prize are 1 in 5. But if the Mega Millions prize is big, the US Powerball prize is bigger. The next drawing is on Wednesday night and has an estimated jackpot of $60 million. Fifty-Fifty Split for US Powerball Winners, but are they Related? Two US Powerball players from North Carolina, who share the same last name, have claimed a $1 million prize and shared that as well. But it is not known if the winners are related because they told North Carolina Education Lottery officials they wanted as little media attention as possible. In compliance with the winners' wishes the state lottery has released only the information that is required by the state's public record laws. William Anthony, of Cherryville, and Evans Anthony, of Shelby, matched all five main numbers, but not the Powerball in the drawing held on Saturday, November 8, 2014. They picked up their checks on Friday. After the necessary deductions for taxes, each of them walked away with a $346,002 share of the prize. No tickets matched the five winning numbers and two Lucky stars required to bag Friday's EuroMillions jackpot, but three tickets secured €515,956 for matching five main numbers and one Lucky Star. A second Lucky Star would have bagged the €25,319,129 (£20,235,047) top prize, but Lady Luck was not feeling generous so the big-money prize has been saved for another day. 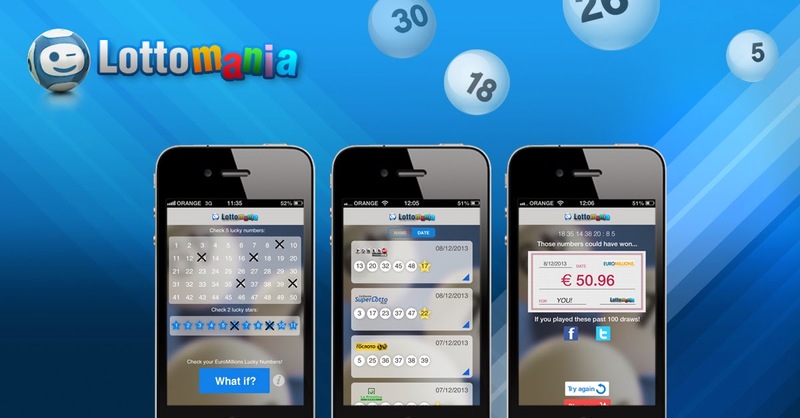 Two ticket-holders failed to get any Lucky Stars, but were awarded third tier prizes of €257,978 for matching five main numbers. Sixty-eight players won €3,793 for matching four main numbers and two Lucky Stars, and a further 2,288,135 EuroMillions players were awarded smaller prizes from the lower tiers. The EuroMillions numbers drawn on Friday, November 14, 2014, were 17, 32, 36, 38, and 48. The two Lucky Stars were 5 and 8. The next EuroMillions drawing is on Tuesday, November 18, 2014. The estimated jackpot is €32 million (£25 million). A former steeplejack from Nottingham, England, bagged a UK National Lottery jackpot four years ago, but continues to work because he believes a life of ease would bore him. Mr. Westbury won his £7.7 million prize in 2010, but in an interview with the Nottingham Post, earlier this week, the 68-year-old admitted he still keeps a tight grip on the purse strings and said he has no intention of quitting his job as a lightning protection consultant. "When I tried to retire for one day, I was bored—and that was just one day," Westbury said. "By midday I was tired but I hadn't done anything. I just can't see myself ever finishing work." Thinking back though, Westbury had to admit his big win couldn't have come at a better time. He was co-owner of a lightning protection company and the business was struggling. "Before I won, I jokingly said to my accounts manager that we would have to win the lottery; then low and behold we did!" Westbury said. The business employed over 20 people, and Westbury was determined to protect their jobs, so he put £800,000 of his winnings into the company to help keep it afloat. "I wanted to use some of the money to look after their jobs. They stood by me through hard times, so I thought I would stand by them," Westbury explained. Although retirement was never on the cards, Westbury did splash out on a few luxuries such as holidays and cars, and even purchased an eight-bedroom mansion, but soon downsized to a four bedroom house because he and his wife Susan found the mansion "too big". Mr. Westbury and his wife were among 15 lottery-winning couples who met up at Holme Pierrepont Country Park on Wednesday to celebrate 20 years of the National Lottery. The town of Bailieboro in Ireland was buzzing with excitement yesterday as the townsfolk speculated on the identity of its latest EuroMillions winner. Someone had walked into Harris's SuperValu and purchased a ticket that won €186,684 in the Tuesday night drawing. Speaking to the Anglo-Celt, SuperValu proprietor Lorraine Harris said it was the first time the store had sold a big winner in a long time. The last time was six years ago when a lucky punter bagged a €3.6 million prize. "There is a great buzz in the shop at the moment," Harris said. "It is a lovely win and with the times that are in it—this amount of money is a bonus to anyone," she said. As of the Wednesday evening, the National Lottery Ireland was still waiting for the mystery winner to come forward and stake their claim. A woman from Frankfort, Indiana, has claimed the $2 million Hoosier Lotto jackpot form the drawing held on Wednesday, October 22, 2014. Speaking to staff at the Hoosier Lottery headquarters in Indianapolis, Lisa Jennings recalled the moment she realized she'd purchased the winning ticket. "I ran the gamut of emotions," Jennings admitted. "I went from elation to thinking 'I'm going to be sick,' to fear, to 'what do I do now?' Then disbelief set in." Jennings, who works in manufacturing operations, opted to take her prize as a one-off, lump-sum payment of approximately $808,000 before taxes. Members of Parliament from Bradford, England, have demanded an end to the UK National Lottery "rip-off" tactics that short change the funding made available for arts projects in Bradford and other areas of the UK and funnel huge amounts of cash to London-based projects. Speaking on Wednesday, MPS urged the British Government to change the rules and ensure the rest of the UK got a fair share of the funds generated by the National Lottery. A study examined by the Commons culture select committee revealed 20% (£34.6 million) of the money generated by ticket sales in Bradford was allocated for the arts, but only £18.7 million was reinvested in arts projects in the Bradford area. The case is very different in London however. Four boroughs have surpluses that top £100 million. Westminster alone boasts a surplus of £393.7 million. Bradford South MP Gerry Sutcliffe, who assisted with the inquiry, said it was time to end the "rip off". Bradford East Liberal Democrat MP David Ward said he would be contacting the lottery and asking for a justification of funding decisions that cause people in the north to feel like they have lost out. Shipley MP Philip Davies was equally unhappy. "For the long-term viability of the lottery it clearly needs to be more closely matched otherwise it will lose its legitimacy," Davies said. Two tickets matched the six winning numbers in Saturday's UK National Lottery Lotto drawing, so the £3.3 million jackpot will be split two ways. Each ticket-holder will receive £1,663,502. The winning UK Lotto numbers drawn on Saturday, November 8, 2014, were 6, 7, 22, 27, 35, and 42. The bonus number was 1. Six players matched five winning numbers and the bonus ball to win second tier prizes of £44,259, and 310 players won £727 for matching five numbers. A further £8,972,205 was distributed in smaller prizes to lower tier winners. UK National Lottery Lotto drawings are held on Wednesdays and Saturdays. The next drawing is on Wednesday, November 12. The estimated jackpot is £2.1 million. Reports from the Xinhua news agency state China's Welfare Lottery has come under scrutiny of late and many people believe details about the allocation of funds to the welfare sector is too vague. The Welfare Lottery is so named because it is supposed to generate funds for public welfare. Since the lottery's launch in 1987 its products have generated around USD$ 284 billion, with USD$ 85 billion supposedly being awarded to welfare projects. Xinhua's report accuses the lottery of keeping murky records and ensuring the public is kept in the dark about how the money is spent. Media reports also reveal lottery issuance agencies in a number of provinces may have used lottery funds to pay for the building of luxurious office blocks, hotels, and training centers. The money used is believed to have been taken from the 15% issuance fee from the total sale amount. Last year's issuance fees totaled around USD$ 7.4 billion. The Institute of Sociology, Tianjin Academy of Social Sciences, recommend the lottery be more up-front about how funds are allocated, stating this may alleviate public concerns. The institute also suggests the issuance fee be revised. Concerns have also been raised about the identities of big winners, who always pick up their prizes wearing face-covering costumes. In October a big winner claimed their prize wearing a bear costume. "We are told very little about the winners and how the total funds are allocated; we really have a lot of questions," a lottery player said. "There's always someone who becomes the sole winner of a grand prize. There must be something going on behind the scenes," another player pointed out. Lottery issuance center staff insist revealing the identity of winners would be a breach of the regulations. A couple from County Leitrim visited the National Lottery Ireland's headquarters in Dublin on Wednesday and picked up a check for €7,120,595. The lucky couple, who have chosen to remain anonymous, won their life changing prize on Saturday, October 25, 2014, when their ticket matched all six winning numbers. They told lottery staff they'd been playing the same numbers for a few years and said when they heard their numbers read out in October they recognized them straight away. The only problem was they couldn’t remember purchasing a ticket. "We recognized the numbers as soon as we heard them," the husband said. "But were we sure we’d won? Nope! We weren’t certain we had a ticket for that draw." Fortunately they had purchased a ticket and quickly located it. "There was a bit of a scramble but all’s well that ends well and here we are today in National Lottery HQ as millionaires," the husband chuckled. The winning ticket was purchased from the Tesco supermarket on the old Dublin Road in Carrick-on-Shannon. The store has never sold a jackpot-winning ticket before so store manager, Liam Melody, was thrilled when he heard the news. "There has been huge excitement all day," Melody said. "It has been the talk of the shop." Speaking about the identity of the mystery winners, Melody admitted the staff at the store are as much in the dark as the rest of the country. "There has been lots of craic [fun] and banter. We are hoping it is a local family but we don’t know," he said. "We may never know. We are just very excited to have sold the winning ticket and we wish that person all the best for the future." In a recent announcement the Georgia Lottery confirmed a man from Savannah has claimed a $1 million prize from the July 9, 2014 US Powerball drawing. Registered nurse, David Bramble, 42, came forward on October 21, and admitted to lottery staff the winning ticket had spent over three months laying forgotten inside his car. "I had these tickets that were sitting in my car," Bramble said. Once the tickets had finally caught his eye, Brambles took them into a grocery store and began checking to see if any of them were winners. One of them was and when Brambles saw how many zeroes were involved it was an overwhelming experience for the father of four. "I thought that I must've won a chunk of change. I didn't know that it was that much change," Bramble said. "I lost my composure for a couple of minutes in the store." Brambles won his life-changing prize on a Quick Pick ticket purchased from Publix Super Market on Abercorn Street in Savannah. It matched all five of the main numbers drawn on July 9, but not the Powerball. If he'd matched the Powerball as well he would have taken a half share of the $122 million jackpot. The Georgia Lottery presented Brambles with his check last Wednesday. He and his wife Tanyka have no definite plans for the money. Six years ago Marva Wilson, 65, won $2 million playing the Missouri Lottery. Now she's broke because someone she considered her friend stole her winnings and used the money to fund a lavish lifestyle. Wilson had her big win in 2008 and used some of the money to purchase a couple of houses—one for herself and one for her daughter. She also bought a car. Then in 2010 Wilson was befriended by Freya Pearson, 41, who quickly gained her trust, began offering her financial advice, and then swindled her out of $640,000. "She was going in my account," Wilson said. "I didn't give her permission to do none of that." Wilson had signed some papers at the bank and unknowingly given Pearson access to her bank account. Last week a federal grand jury indicted Pearson for tax evasion, money laundering, and making a false statement. According to the indictment, Pearson used the money to pay for an apartment in St. Louis, for gambling, and to fund her vacations. "One time I called her and she was getting ready to board the plane to the Bahamas," Wilson said and went on to call her a "smart, slick, lying, educated crook." Within months of their meeting Wilson discovered her bank account was overdrawn and she was forced to take out a reverse mortgage on her home. There is little chance of her recovering any of the money. An audit conducted on the Massachusetts State Lottery has raised concerns that the system used for scratch-off tickets may be vulnerable to abuse. Released on Thursday, October 30, 2014, the audit reveals the lottery has failed to complete documentation necessary to confirm valid scratch-off tickets returned by terminated lottery retailers have been properly accounted for and destroyed. The audit also suggests the lottery has not been taking sufficient measures to prevent retailers from scanning unsold tickets to check if they are winners. Auditor Suzanne Bump pointed out the lottery had $4.73 billion in overall sales in the 2012 fiscal year and said it was critical for its integrity to be protected. The lottery has already implemented changes to prevent the possibility of abuse. Three tickets matched the six winning numbers in the UK National Lottery Lotto drawing on Saturday night; so the UK Lotto jackpot will be split three ways. Each ticket-holder will receive £2,950,302. The winning UK Lotto numbers drawn on Saturday, November 1, 2014, were 3, 5, 9, 28, 35, and 47. The bonus number was 14. Five players matched five winning numbers and the bonus ball to win second tier prizes of £60,525, and 414 players won £620 for matching five numbers. A further £10,475,339 was distributed in smaller prizes to lower tier winners. UK National Lottery Lotto drawings are held on Wednesdays and Saturdays. The next drawing is on Wednesday, November 5, 2014. The estimated jackpot is £2.1 million.